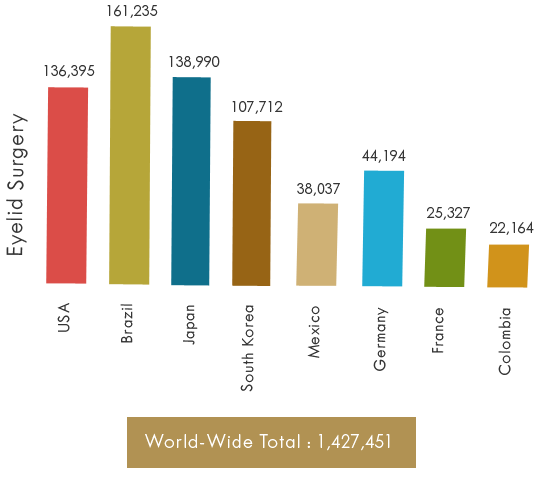 Recently published results of a survey by the International Society of Aesthetic Plastic Surgery (ISAPS) reveal that more than 20 million cosmetic surgical and nonsurgical procedures were performed worldwide in 2014. The report shows that eyelid surgery ranks first in the list of top five cosmetic surgical procedures performed last year. 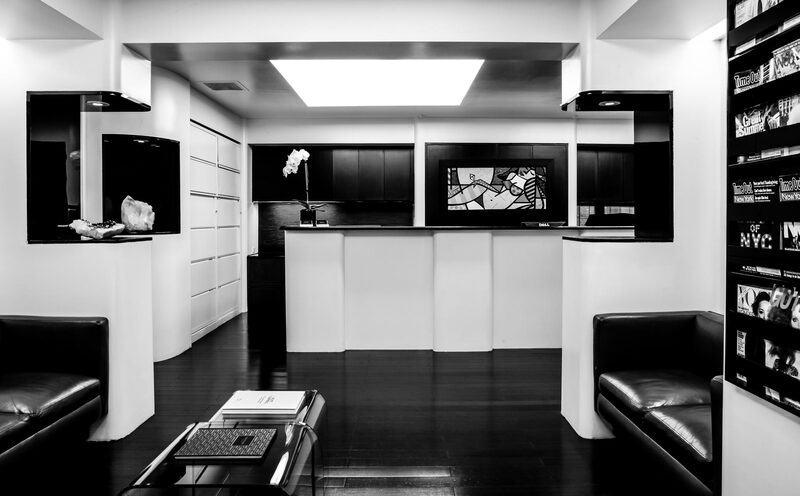 The procedure rose in popularity from being the third most popular cosmetic surgery procedure internationally in 2013. A total of 1,391 plastic surgeons from different parts of the world responded to the ISAPS questionnaire. 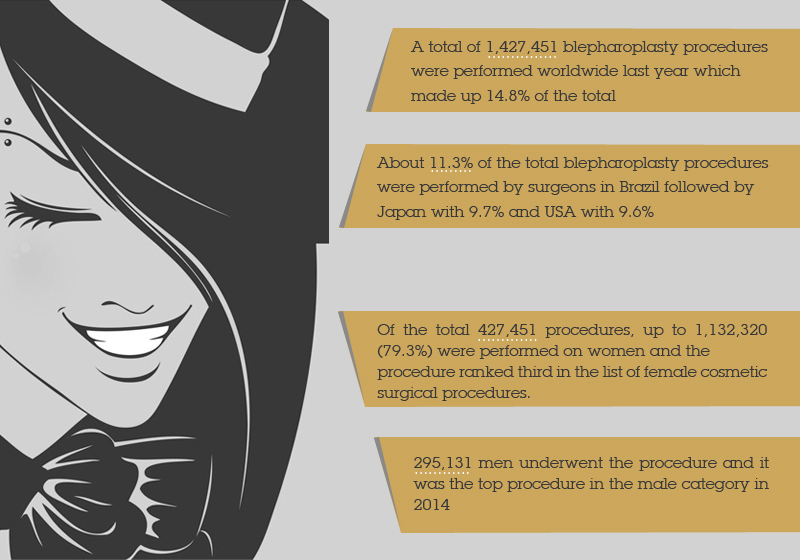 In the country-wise distribution of the eyelid procedures performed in 2014, Brazil leads followed by Japan and the USA. Eyelid surgery involves removing excess skin, muscle and sometimes fat from the upper and lower eyelids, thereby rejuvenating the eyes and providing a more youthful looking facial appearance. The procedure can resolve a number of conditions such as puffiness or bags under eyes, sagging or loose skin that creates folds on the upper eyelid, excess skin and wrinkles on the lower eyelid, droopiness of lower eyelids and excess fatty deposits on the upper eyelid. An eyelid lift may be done as a standalone procedure or in conjunction with other facial surgery procedures such as face lift surgery and brow lift surgery.